Belly fat is associated with a mirad of health problems like cardio vascular disease and diabetes. If you’re a man with a waist circumference of 40 inches or a women with a waist measurement of 35 inches, the risks that are linked to large bellies might be threatening your health. 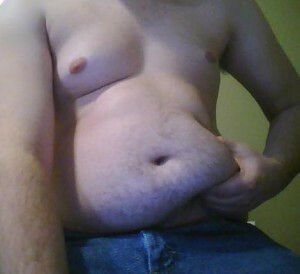 There are two types of belly fat: subcutaneous abdominal fat and visceral fat. The fat on your belly that can be pinched with your hands is subcutaneous abdominal fat, fat that lies just below the skin. Subcutaneous fat can appear anywhere on the body. However, excess fat that piles around the waist can be a sign that there’s trouble ahead. Visceral fat is fat that resides deeper in the body and can’t be seen with the naked eye. Visceral fat is packed in between your organs and is considered especial concerning. Visceral fat is much more difficult to spot because of it’s location. Medical studies have found that waist circumference is a universally accessible and fairly accurate way to predict how much visceral fat you might have. If your waist is thick it is likely you have excessive visceral fat, even if you don’t have a lot of “pinch-able” subcutaneous abdominal fat. Scientists have found that excess belly fat disrupts the normal balance and functioning of several hormones. Visceral fat is thought to play a larger role in insulin resistance, a condition where your body has a decreased sensitivity to the hormone insulin. Insulin resistance is a know risk factor for diabetes. Research studies have found that individuals with bigger bellies are at a higher risk for getting dementia as they age. Excess visceral fat may pre mote the growth of several types of cancer like colon, ovarian, gastric and breast cancer. Fortunately visceral fat respond quickly to exercise. The less threatening but still undesirable subcutaneous abdominal fat tends to be more stubborn but it can be managed through lifestyle changes. Many people are under the impression that exercises that target the abdominals will keep their bellies lean. This is a misconception. You cannot use exercise to target specific regions of fat on your body. Instead it is best to focus on reducing the amount of fat on your body as a whole through regular physical activity and diet. A 2005 study in the Journal of Applied Physiology suggest that basic areobic exercises like walking and jogging can help control belly fat. The researchers’ findings also implied that inactivity could be a primary contributor to excess belly fat. Thi 8-month study found that participants who did not exercise at all saw a staggering 8.6% increase in visceral fat. Fortunately the study also uncovered some encouraging results. Participants who regularly exercised for a total of 2 hours each week saw no increase in visceral fat. And those who exercised for 3 hours a week lost 7% of their visceral fat on average. Belly fat can pose a significant risk to your health. The good news is that simple lifestyle changes can reduce belly fat and help you avoid the health problems associated with a large belly.